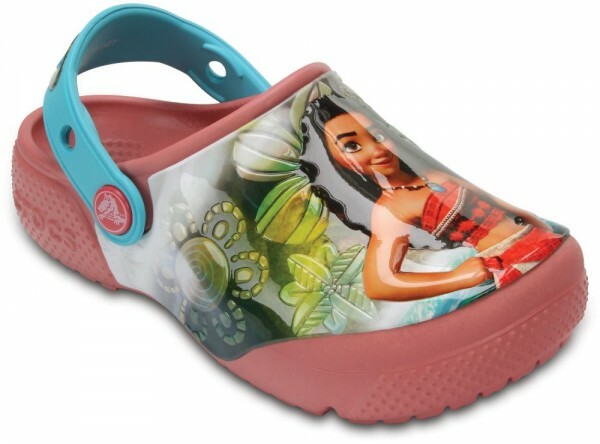 Product information "Funlab Kids Disney Moana Blossom Croslite"
With these Fun Lab Disney (TM) Moana (TM) Clogs our little heroines can navigate the waters of spring and summer and feel just as brave, independent and courageous as Moana (TM). They will enjoy the lightweight Crocslite (TM) foam construction and the raised graphics on the upper. Related links to "Funlab Kids Disney Moana Blossom Croslite"
Customer evaluation for "Funlab Kids Disney Moana Blossom Croslite"